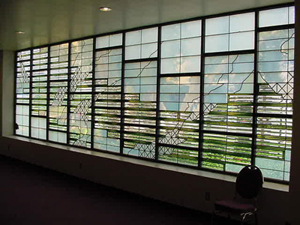 Ancient Arts has been selected to repair and restore a massive stained glass window in the adult lounge at the Carson Community Center, Carson, CA. The overall window is approximately 28 feet wide and 7 feet high and is divided into 27 sections. The window was designed and fabricated by Edward Carpenter of Portland, OR and was funded by a 1977 grant from the National Endowment for the Arts. 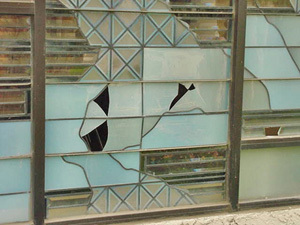 Over the years, a number of pieces of glass have been broken or cracked due to accidents and/or vandalism. These damaged areas are confined to 4 of the 27 sections. The four sections in question have been removed from the Community Center and the openings temporarily filled with tempered glass. The stained glass sections are now at Ancient Arts stained glass studio in San Pedro. Ancient Arts owner, Mark Schoem has contacted Mr. Carpenter in an effort to correctly identify the glass that was used in the window and Mr. Carpenter graciously offered to furnish the replacement pieces from leftover glass that he used in the project. At the present time, Ancient Arts is in the process of disassembling the sections, as necessary and creating patterns for each of the replacement pieces. After this task is completed, we will send the patterns to Edward Carpenter. There are also some broken pieces of beveled glass and we will be ordering replacements for those as well. 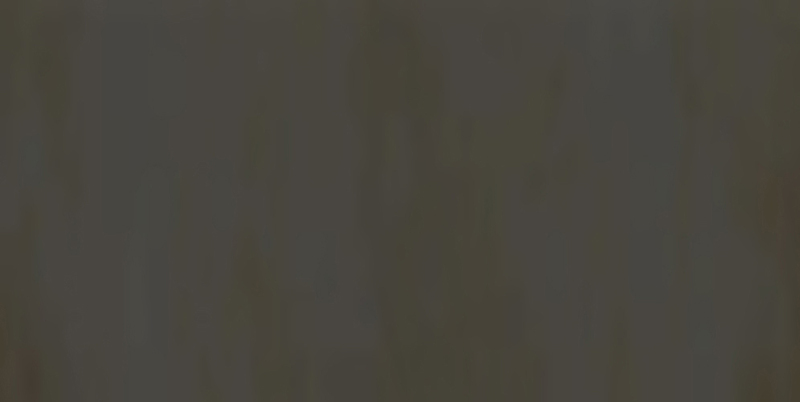 This project is scheduled for completion in December or early January, 2009. The accompanying photographs show the entire window and a close up of one of the damaged sections.